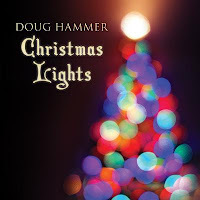 Christmas Lights, Doug Hammer's tenth release, is a follow-up to his award-winning Christmas album, Noel. It contains seventeen traditional favorites and a new original composition, Christmas Lights. There is a combination of new age, holiday, classical and more mixed into the compositions. Over the last year I have become more appreciative of piano-based music than ever before. I find it simplistic and complex, moving and emotional, relaxing and uplifting…those are a few of the prominent terms that come to mind. Doug’s piano playing invites you into a world filled with the wonder of Christmas through the eyes of a child who is now an adult. With all the bright colorful lights and the joy of taking a drive with your family to see different houses and how their lights and decorations displayed in all their splendor… the music sweeps you away to a magical place removed from your current reality. What is presented here is simple and straightforward piano music with different elements sprinkled in, kind of like Grandma’s special recipe for Christmas cookies. Doug’s talented fingers do all the talking through this instrumental journey. With the stroke of each note the Holiday is right at your doorstep beckoning you to come in and let it absorb your being. If that is the intent here, it surely accomplishes that. “Away In A Manger” is beautifully done. Doug’s fingers delicately stroke the keys and you instantly envision the little Lord Jesus in the manger. The effect is seamless, powerful and effective, taking you away to when this event actually took place so long. “Bring A Torch, Jeanette, Isabella” is an upbeat track; it is like dancing on the rooftops on a crisp winter night, thus asking the fair ladies to bring along some light to lead the way. This probably has nothing to do with the meaning of the song; however that is what it did for me. Everyone is affected in different ways by music. The sheer beauty of unencumbered instrumental music is the fact that you can paint your own picture as you go. ”Deck The Halls” is another age old-classic done in a way you will likely hear for the first time. The piano playing is amazing. The artist builds the song into his own by playing layer upon layer of keys and at a very quick pace. It is like a tidal wave of music with one instrument serving as the featured star. I absolutely loved it. Doug closes the curtain on this newly born Christmas classic recording with his original title track. It is a step away from the norm as he turns the page on all the classic compositions and gives each listener a taste of his own Christmas and his incredible talent for capturing the moment. I found it a wonderful way to close out the album and it leaves it open for another chapter to come perhaps? It usually does not take me long to get my fill of Christmas music because of the commercialism and it all kicking in prior to Halloween now. This music however allows me to actually find the true meaning of the Holiday and appreciate a talented artist pouring his heart and soul into something that carries a message and heartfelt meaning. 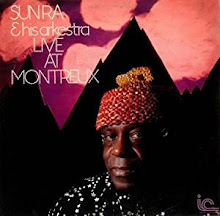 This is great instrumental music that I think can be enjoyed any time of year, but for now you are well advised to enjoy it and usher in the Holiday.